​Directly after one of the most famous passages in all the Bible (John 3:16), Jesus makes a statement that really tickles the ears. 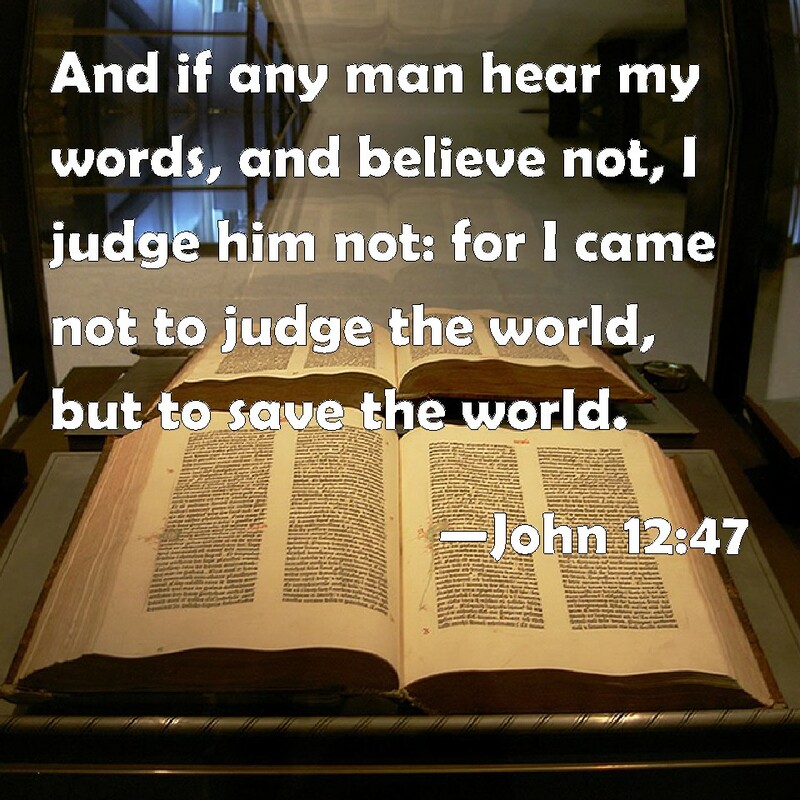 In John 3:17, Jesus says the following, “For God did not send His Son into the world to condemn the world, but that the world through Him might be saved.” In another statement within the gospel of John, Jesus further clarifies, “If anyone hears My words and does not believe, I do not judge him; for I did not come to judge the world but to save the world,” (John 12:47). The word of God is a funny thing sometimes. Things are not always what they first appear. Jesus would elsewhere speak in seemingly contradictory contrast, “For judgment I have come into this world, that those who do not see may see, and that those who see may be made blind,” (John 9:39). What is the rhyme and reason for these sayings of Jesus? 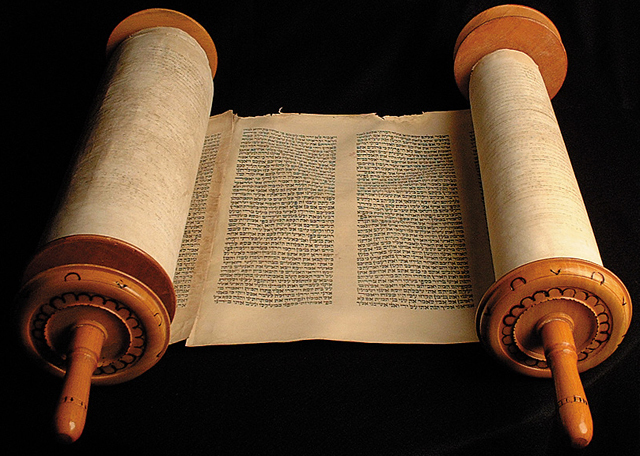 Did Jesus contradict Himself? ​Jesus does not contradict Himself as sure as God does not lie (Hebrews 6:18). There must be a reason for the seeming contradiction of Jesus’ words on these three separate occasions in John 3, 9 & 12. In John 3, Jesus speaks to Nicodemus about the new birth that takes place at baptism. In John 9, Jesus rebukes the Pharisees for denying His miracle- healing the blind man at the pool of Siloam. In John 12, Jesus again lectures a host of Pharisees who deny His power and message. These short summaries are the first steps in defining context; but even then, the conflict is not resolved in Jesus’ words. There must be something more…and there is. ​The subject of judgement is most awfully abused. There is much that could be said about judgment and the Bible. For this particular debacle, understand there are two different broad categories of judgment at the very least. There is corrective judgment, the type that Jesus claims He came to administer in John 9:39. An individual can repent after corrective judgment has been administered (i.e. it would appear Jesus’ brother repented when comparing Matt. 12:46-50 with Galatians 1:19). Then, there is final judgment, also called eschatological judgment. For ease of understanding, the former title -final judgment- will be utilized. Final judgment is what Jesus speaks of in John 3:17 and 12:47. In these latter verses, Jesus is explaining why He came into the world the first time. When Jesus was born in a manger, He was sent by the Father to become the sin sacrifice that would offer salvation to all of humanity. When Jesus hung from the cross, He had not come to reign fire down from heaven, consuming the earth as in the days of Sodom and Gomorrah. Nonetheless, Jesus will come back one day (Matthew 24:36-44) and His coming will be for final judgment from which there is no opportunity to repent. Directly after His statement in John 12:47, “I do not come to judge…” Jesus says, “He who rejects Me, and does not receive My words, has that which judges him- the word that I have spoken will judge him in the last day,” (12:48). Do not be mistaken: Jesus did administer corrective judgment when He was on the earth. For this reason He was crucified. But next time…He comes wearing a robe dipped in blood, wielding a two-edged sword, and making war (Revelation 19:13-15). ​There is a reason that Jacob called Yahweh “the Fear of Isaac”, for God is greatly to be feared by all (Psalm 89:7). A healthy dose of fear is good for treating a severe case of unholiness. Word on the street is that unholiness is more rampant than Flu A this year. Do not be confused, Jesus did not come for judgment in 30 A.D., but He is coming for final judgment one day. Open up the Bible this year and take a daily dose of fear from the almighty God of mercy and judgment.